KNOXVILLE, IOWA (August 10, 2011) – After Kyle Larson’s win in the United States Auto Club (USAC) Casey’s General Stores Ultimate Challenge at the Southern Iowa Fairgrounds in Oskaloosa on Tuesday, defending Jesse Hockett “Mr. Sprint Car” titlist Sammy Swindell of Tennessee continues to lead the 2011 Cox Design & Metal Fabrication Iowa Speed Week point standings. Tuesday was night six of the ten-night series of sprint car races in south central Iowa. 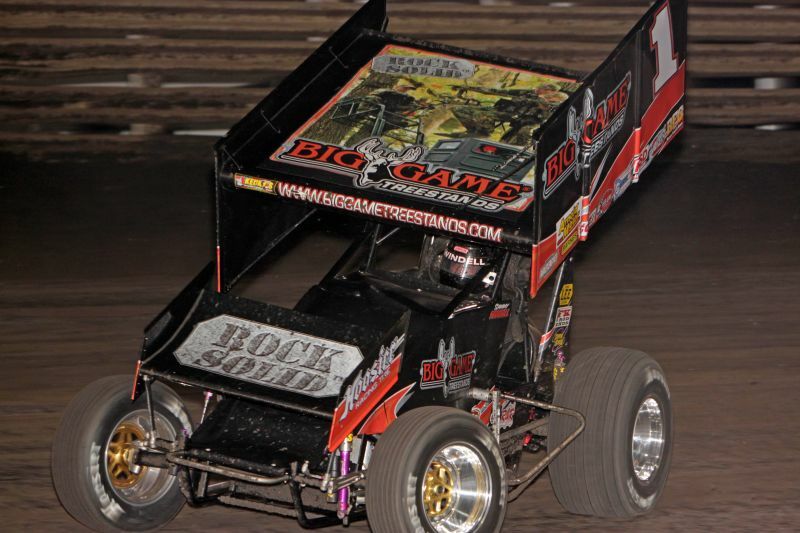 Night number seven is the World of Outlaws (WoO) Goodyear Knoxville Nationals preliminary night at the Knoxville Raceway on Wednesday, August 10. The unofficial top fifteen in the 2011 Cox Design Iowa Speed Week points after six nights is as follows: 1., Sammy Swindell, 178 points; 2., Daryn Pittman, Tim Shaffer, 149 points (tied); 4., Shane Stewart, 146 points; 5., Brandon “Bud” Kaeding, 141 points; 6., Sam Hafertepe, Jr., 140 points; 7., Davey Heskin, 136 points; 8., Brady Bacon, Randy Hannagan, 129 points (tied); 10., Jason Johnson, 126 points; 11., Terry McCarl, 121 points; 12., Brooke Tatnell, 113 points; 13., Ryan Anderson, 111 points; 14., David Gravel, Wayne Johnson, 102 points (tied). The Cox Design & Metal Fabrication Iowa Speedweek includes ten straight nights of sprint car racing between Knoxville Raceway and the Southern Iowa Speedway. The top three places pay $2,500, $1,000, and $500, respectively, with the winner declared the Jesse Hockett “Mr. Sprint Car” titlist. Past “Mr. Sprint Car” titlists include Ricky Logan (2002) of Arkansas, Shane Stewart (2003, ’04) of Oklahoma, Billy Alley (2005) of Nebraska, Jason Johnson (2006) of Louisiana, Wayne Johnson (2007, ‘08) of Oklahoma, Terry McCarl (2009) of Iowa, and Sammy Swindell (2010) of Tennessee.